Events organised by the Guild: Please also see our dates to remember on the right hands side which also includes storytelling events organised by others. *Please note that children under 15 years will not be admitted. Why can't children attend? **$8 Tickets are only available to current financial members. One per member. The Story Circuit provides adults with the opportunity to listen to traditional storytelling. Traditional Storytelling is a subtly interactive process since it relies of connecting the audience's imagination to the imagination of the teller and thus transporting them into the story. In many ways storytelling is a shared experience in which the storyteller acts as a medium or conductor of sorts. Having children in the audience influences this experience. Whenever children have attended adult storytelling performances in the past they have inevitably been a distraction. Either because the stories were not of interest to the children or they were not appropriate and therefore the audience were distracted by concern for the child, or simply because a good teller adapts the story to their audience and are commpelled to adjust or tone down the story if there is a child present in the audience. While many of the stories told at the circuit do not contain 'innappropriate' content the presence of children nevertheless alters the performance. For this reason we hold strickly to the rule that children under 15 years will not be admitted. However, most storytellers work primarilly with children and while the Story Circuit is designed to give these tellers a rare opportunity to tell to adults, we will attempt to run one children friendly event each year which will be clearly advertised as such. Story sharing happens at members homes once a month on a day and time convenient to the host. It is an opportunity to practise a story, tell a new story or simply listen to stories. 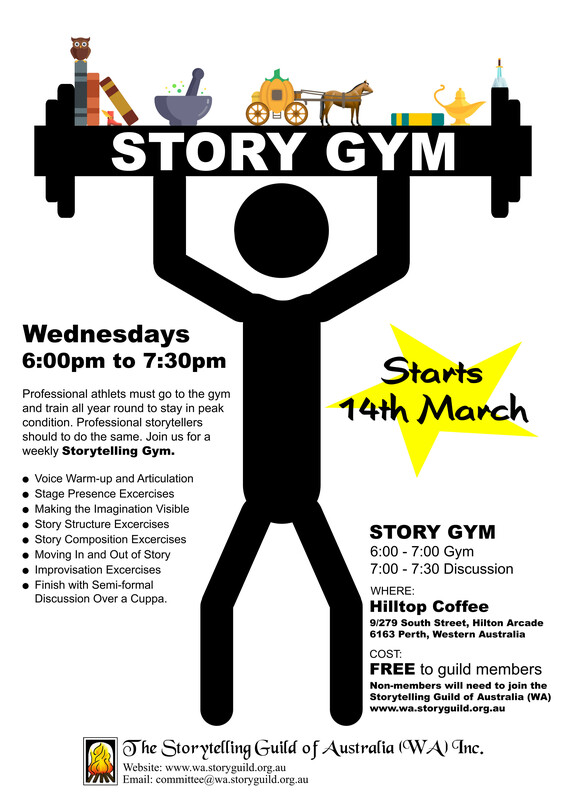 Story Sharings are usually followed by a pot-luck afternoon tea and attendees are encouraged to bring a plate to share. Please see the calendar on the right for upcoming dates.